Adele’s crew members are routinely checked by a doctor before they’re allowed to approach her. Following a gig cancellation in Arizona due to falling sick with a cold, the singer now has a medic look into her team on a weekly basis to ensure her health isn’t compromised. According to The Sun newspaper, Adele revealed to her audience earlier this week: “I had to cancel a show on the last leg of my tour in Phoenix, Arizona and I’ve actually never been so devastated in my life. We have a doctor that comes in once a week that comes in and everyone gets a badge so I know I can go up to them and talk to them. 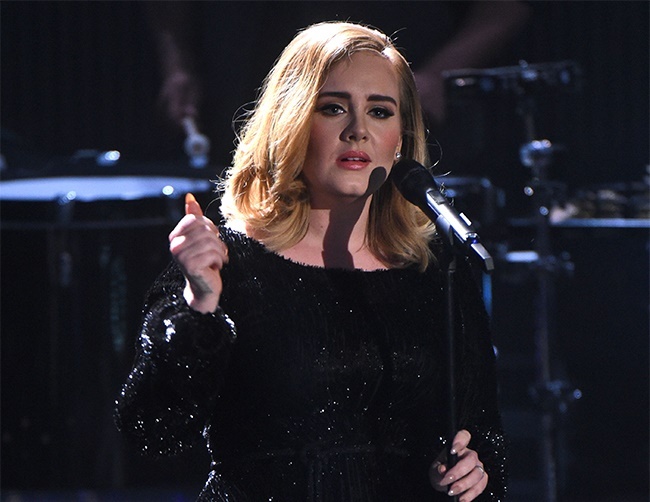 Adele, who has a three-year-old son with partner Simon Konecki, is trying her best for the sake of her career. Despite her efforts, however, she isn’t entirely healthy after getting sunburnt while staying at her home in California. The Hello singer had previously expressed how devastated she felt after canceling the show last month. She shared through Instagram: “I’m really, really sorry. I’ve had a cold for a couple days, and I’ve been pushing through it and I did my show last night and I loved it, but I pushed too hard. And my cold has gotten the better of me.